How Flavorful Is Your City? MISSION, KS--(Marketwire - January 18, 2011) - (Family Features) The new year brings a renewed focus on overall wellness and flavorful, healthy eating. So, McCormick & Company, Inc., the leading brand of spices and herbs, has identified America's top 10 "Super-Spiced" cities based on consumption of "Super Spices. "1 Black pepper, chili powder, cinnamon, cloves, cumin, garlic powder, ginger, oregano, red peppers (including paprika), rosemary, thyme and turmeric are "Super Spices." Residents of these flavorful cities have likely already discovered what a growing number of health and nutrition professionals already know -- "Super Spices" are a delicious source of natural antioxidants. It's not just big cities that like big flavor. Although major metropolises like New York and Chicago top the list, some surprise "Super-Spiced" standouts are also among the ranks. Food-loving cities like Memphis, TN; Charleston, SC; and Jackson, MS -- as well as a whopping three cities in Texas -- help round out this well-seasoned compilation. 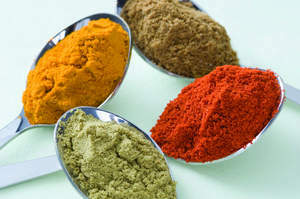 For a full list of the top 50 "Super Spiced" cities, healthful "Super Spice" tips and recipes to spice up your plate with flavor and antioxidants, visit www.SpicesForHealth.com or join the conversation at Facebook.com/McCormickSpice.